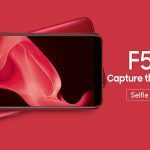 OPPO, the Selfie Expert and Leader, unveiled the OPPO F5 6GB after the brand recently launched the OPPO F5. Following the launch of its latest flagship device, OPPO has collaborated with iflix, the world’s leading entertainment service for emerging markets. OPPO brings an exciting opportunity to double the fun with a thrilling offer to get three months unlimited access to iflix with every purchase of OPPO F5 and F5 6GB. The OPPO F5 6GB is the first phone in this segment to be priced at PKR 39,899 in Black and Red Edition while the OPPO F5 is priced at PKR 31,899 to give OPPO fans and the youth choices to suit their needs. OPPO has become one of the most fashion-forward, stylish phone brands and is appreciated by the youth across the country. iflix is the world’s leading entertainment service for emerging markets, offering users unlimited access to thousands of TV shows, movies and more. With a vast selection of first-run exclusives, award-winning movies and shows, plus the best in local and regional programs, iflix places the entertainment people at their fingertips to either stream or download as per their choice. iflix subscribers gain access to top Hollywood, Asian and Middle Eastern, regional, and local TV shows and movies… wherever, whenever at a low monthly fee (PKR 300.00 per month), With OPPO F5 and F5 6GB RAM you can enjoy the live cinematic experience in collaboration with iflix. On this collaboration Mr. George Long, CEO, OPPO Pakistan said, “We believe that success is all about growing. With meticulous teamwork and industrious intelligence involved, OPPO strives for excellence and always satisfies technological necessities of its users. It is indeed a great pleasure to collaborate with iflix to allow users of OPPO F5 and F5 6GB to avail the world’s leading entertainment service on their mobile phones in Pakistan”. The phone sports 6-inches FHD+ full-screen display, the 18:9 display offering vivid and colorful visuals in a compact body and an extremely narrow frame. This is also the first time a mid-range smartphone is equipped with such clear and vivid full-screen display.